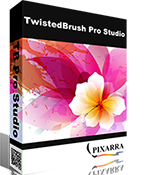 √ Powerful Brush Effects System and More! The powerful Pixarra brush engine is at work here with filters assigned to brushes to allow for easily clicking to layering filters one after the other. 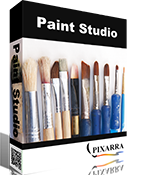 There is a selection of handcrafted filter brushes available in Selfie Studio. 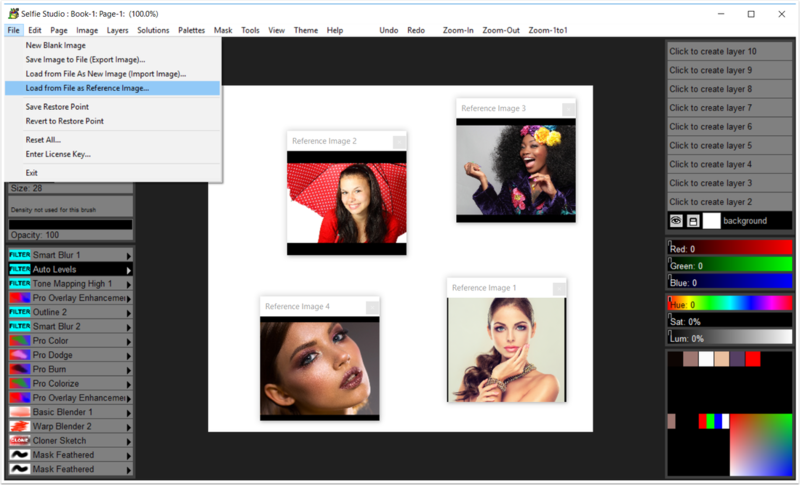 A large number of layouts are also available for automatic application from your layers using Solutions. 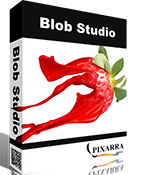 Cloner brushes unlock additional power in Selfie Studio, allowing you to copy your photo from one image to another with a collection of brushes in the Cloners ArtSet. 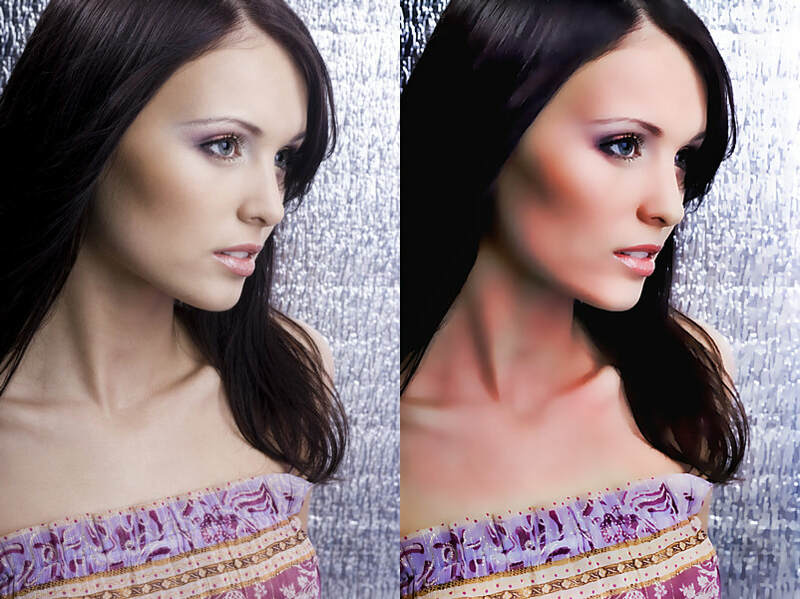 Apply effects at the same time as cloning with special cloner brushes. In addition to cloners, Selfie Studio includes a Color Trace mode where instead of pure cloning, your brush picks of the color from the clone source at the start of the paint stroke. Now you are painting with the only help from the original image is a color. 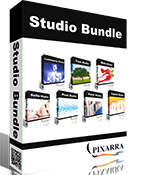 Selfie Studio comes with 7 primary ArtSets. 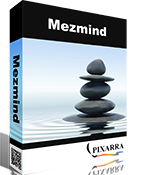 Filters, Photo Edit, Blenders, Cloners, Erasers, Masks and Basic ArtSets. 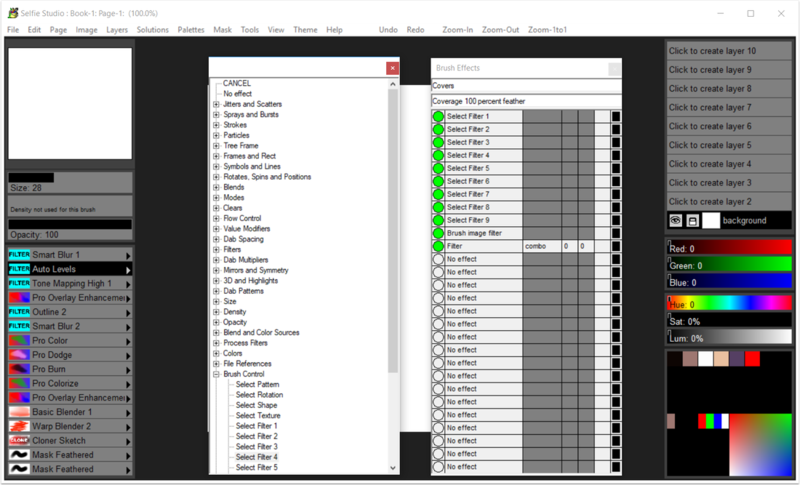 Additionally there are 5 user ArtSets that can hold up to 60 brushes each. 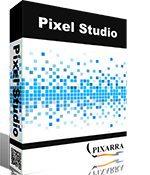 Selfie Studio, as all of Pixarra's focused Studio products, has a clean interface, designed for an easy, quick work flow. Light and darker themes are available. 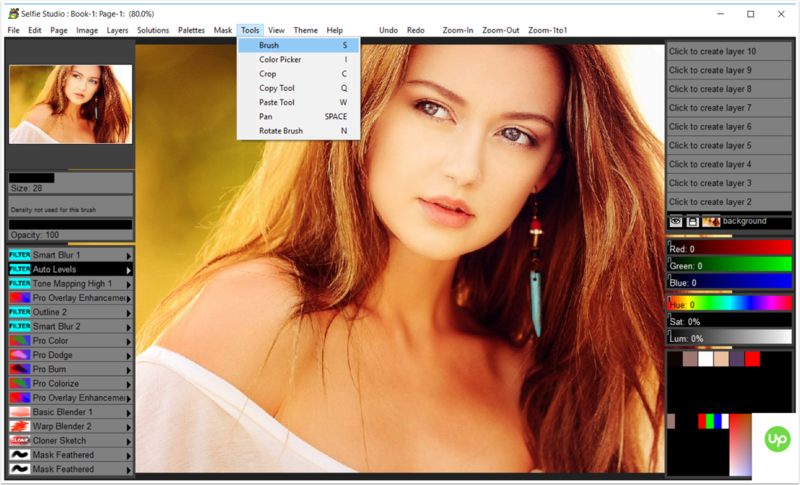 The Color Management panel and the Brush Shortcut Panel are two panels you will use a lot. 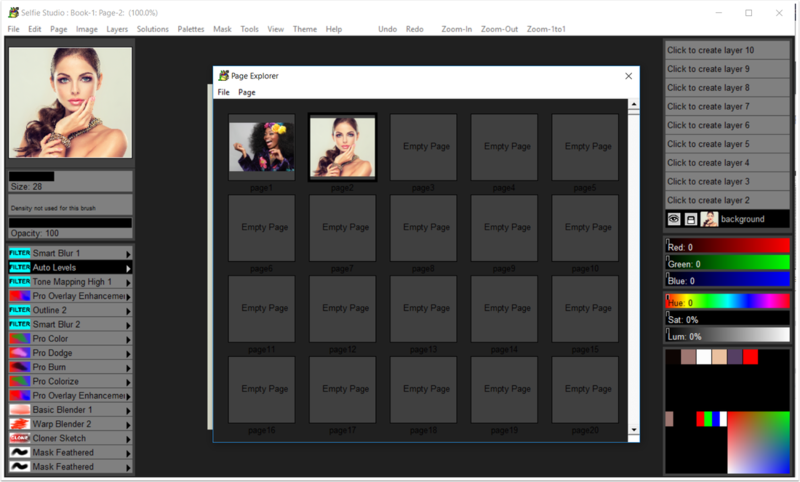 All the panels in Selfie Studio will automatically hide if they get in your way while editing your photos. 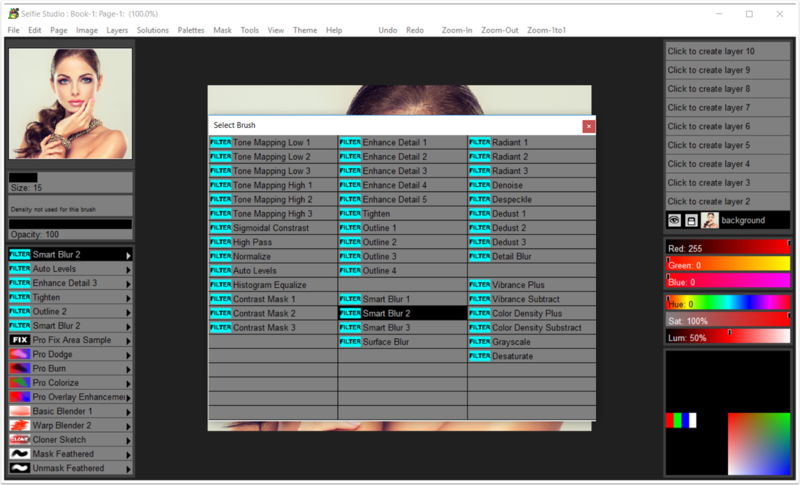 Manually hiding all panels is also possible with the F3 hotkey. The Quick Command panel gives you a configurable array of buttons you can keep close at hand while working. 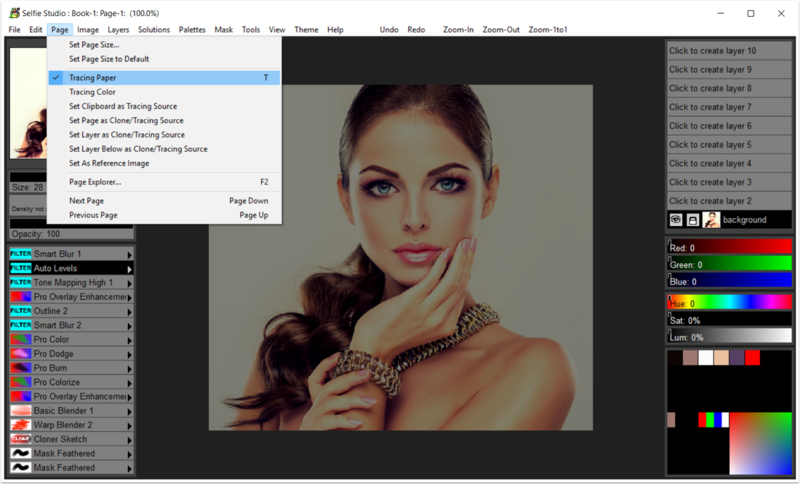 Resize and reshape the panel to your needs. 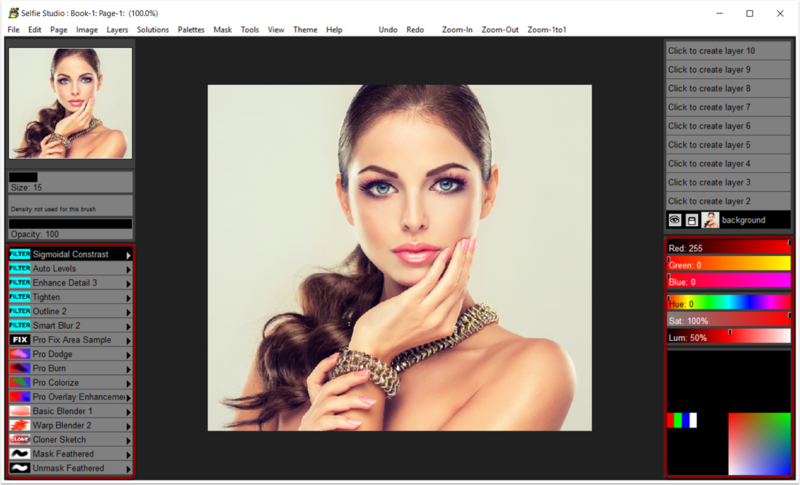 Add, remove and move buttons to create the layout that works best for you. Quickly show or hide the panel with the [F4] hotkey. 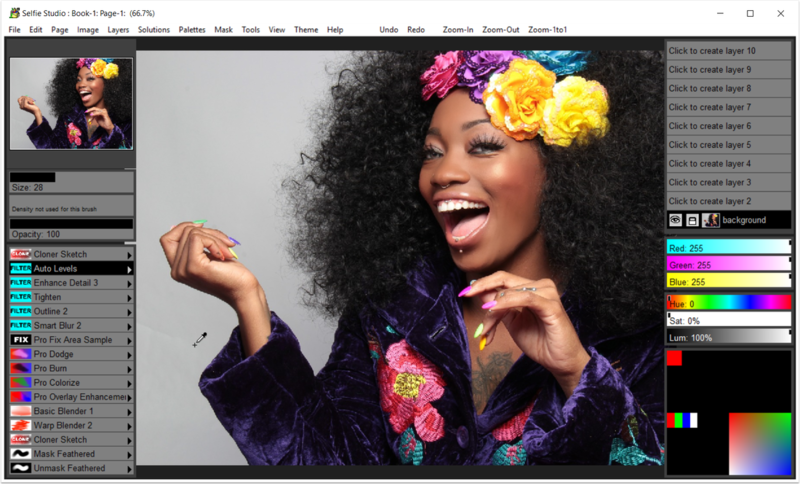 Right click to edit a button or add one to an empty slot. [Ctrl] + click to drag a button to a new location. 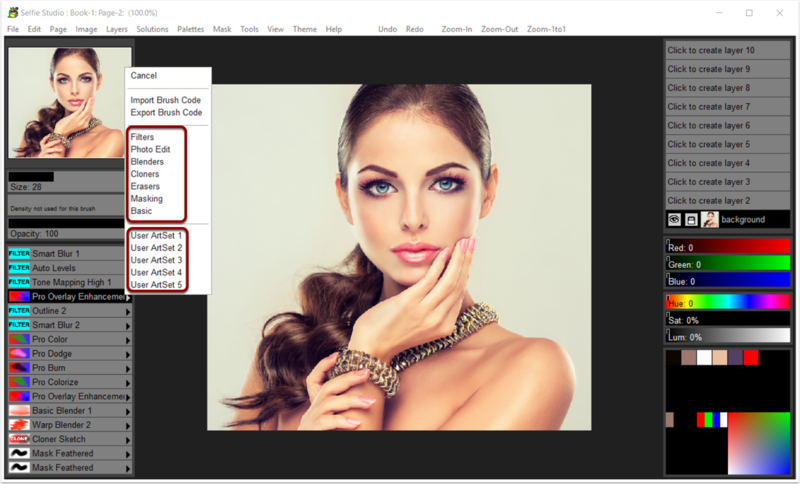 As an added bonus there is some functionality exposed in the Quick Command panel that isn't available anywhere else in Selfie Studio. Since User ArtSets are available you might be thinking where will you get new brushes from. 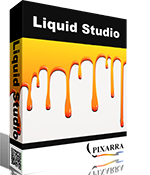 There are a number of ways: user shared brushes in the Pixarra forum, brushes imported from Pro Studio, OR now you can edit brushes right in Selfie Studio with the powerful Brush Effects system from Pro Studio. 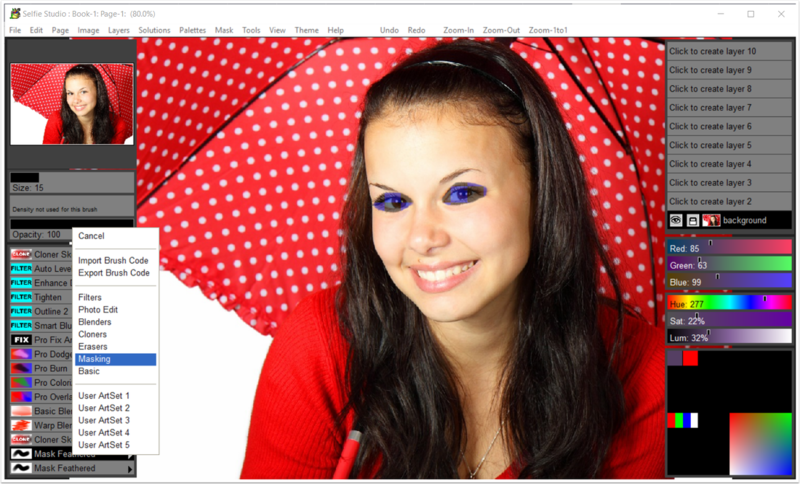 First an IMPORTANT NOTE: Editing brushes is NOT an easy task. 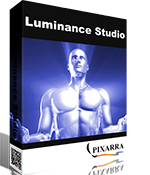 There are over 500 different effects that can be combined in 28 effect layers with each effect processed with 100's of modifiers. I think it's safe to say the Pixarra brush effects system makes for the most powerful brush engine in existence. 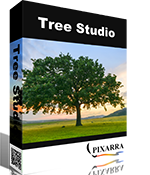 Evidenced in the ability with the same engine to draw simple lines or fully detailed tree with a single stroke as can be seen in Tree Studio. One of the common ways to use the Brush Effects panel is to tweak existing brushes in small ways to meet your needs and you can do this right in Selfie Studio and save them to the User ArtSets. 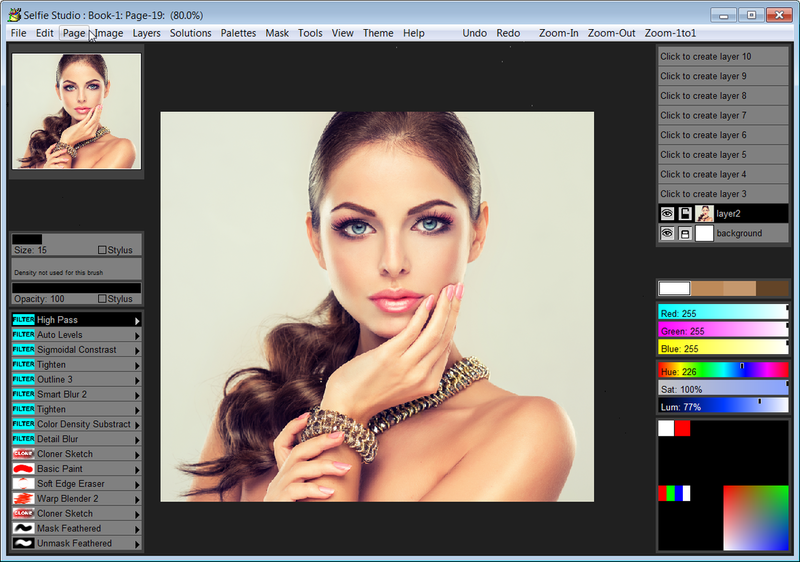 Easy access support for layers in Selfie Studio. The idea is to keep your work flow simple and fast. 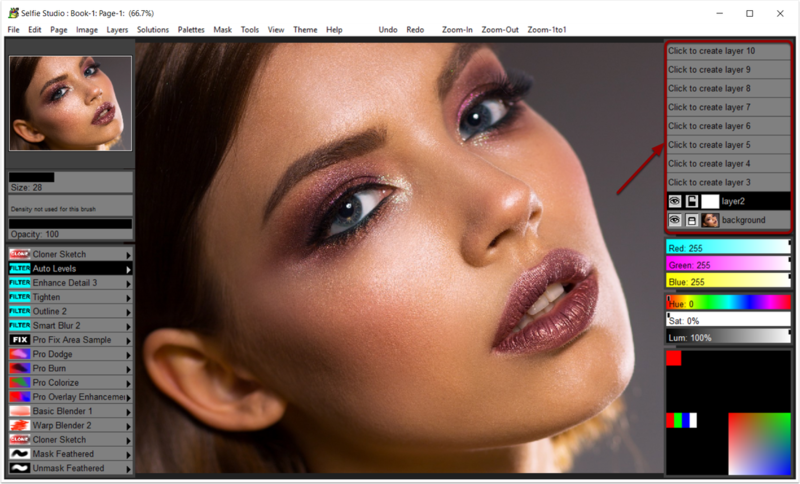 A simple single click to create a layer with no scrolling. 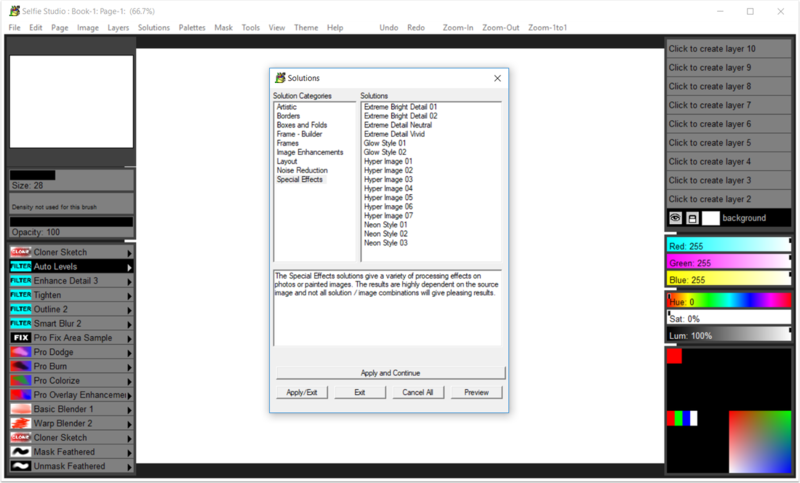 Right click a layer for additional options. 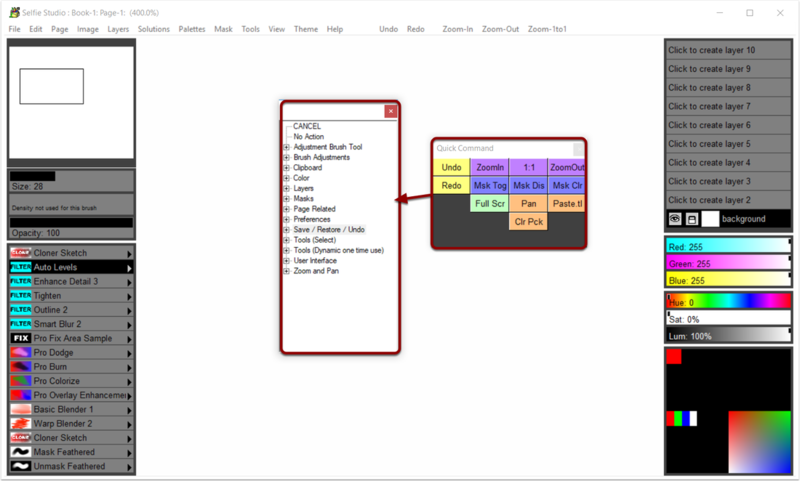 Drag layers to rearrange them. 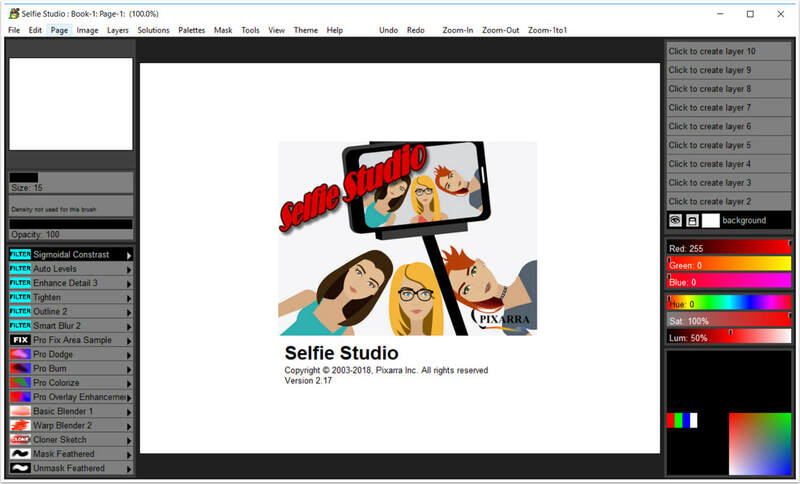 Selfie Studio is a brand new product. Enjoy it!